This paper explores three cases of Do-It-Yourself, open-source technologies developed within the diverse array of topics and themes in the communities around the Public Laboratory for Open Technology and Science (Public Lab). These cases focus on aerial mapping, water quality monitoring and civic science practices. The techniques discussed have in common the use of accessible, community-built technologies for acquiring data. They are also concerned with embedding collaborative and open source principles into the objects, tools, social formations and data sharing practices that emerge from these inquiries. The focus is on developing processes of collaborative design and experimentation through material engagement with technology and issues of concern. Problem-solving, here, is a tactic, while the strategy is an ongoing engagement with the problem of participation in its technological, social and political dimensions especially considering the increasing centralization and specialization of scientific and technological expertise. 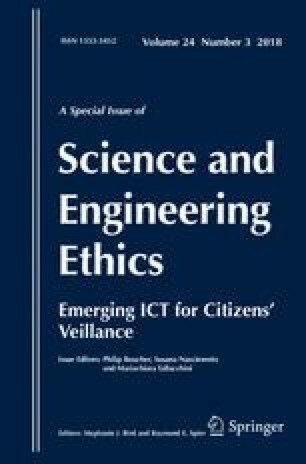 The authors also discuss and reflect on the Public Lab’s approach to civic science in light of ideas and practices of citizen/civic veillance, or “sousveillance”, by emphasizing people before data, and by investigating the new ways of seeing and doing that this shift in perspective might provide. All authors have made equal contribution to the work. Special thanks to Dr. Heidi Ballard, Liz Barry, Shai Efrati, Jeff Warren and Cindy Regalado. The aerial mapping workshop in Castellón was possible thanks to the invitation of David Arlandis and Javier Marroquí and to the Espai d’art contemporani de Castelló and the collaboration of the organizations Avinença, Ecologistes en Acció del País Valencià, Molts Mons, Amics de Palanques, Casal Popular de Castelló; documentation by Lot and Lucia; and the co-organization of Rubén Lorenzo Montero from Basurama. The aerial mapping and workshops in Silwan, East Jerusalem, were supported by the Education Lab in “Mamuta, Art and Media Center” (mamuta.org). Cascio, J. (2005). The rise of the participatory panopticon. http://www.worldchanging.com/archives/002651.html. Accessed December 1, 2015. Felner, E. (1995). A policy of discrimination: Land expropriation, planning and building in East Jerusalem. A comprehensive report, B’Tselem. http://www.btselem.org/download/199505_policy_of_discrimination_eng.doc. Accessed November 21, 2017. Keysar, H. (2014). 7 צילום אוויר (קהילה). מפתח – כתב עת לקסיקלי למחשבה פוליטית, גיליון. (Hebrew). http://mafteakh.tau.ac.il/2014/01/11-07/. Accessed November 28, 2017.